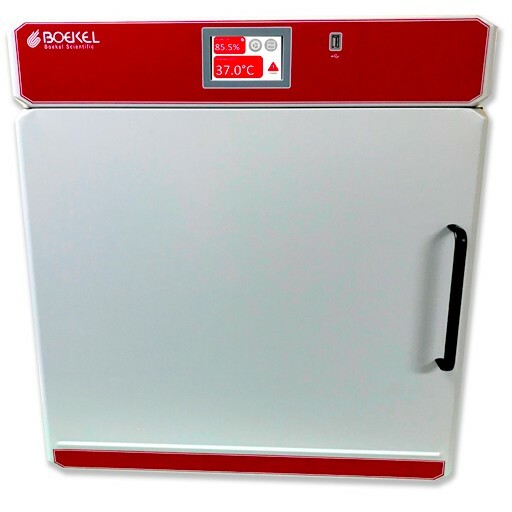 Boekel Scientific’s new touchscreen Refrigerated Incubator was designed to be the most advanced incubator for microbiologic work. The thermoformed plastic interior is easy to clean and has a capacity to hold over 80 BOD bottles. Thermoelectric cooling and an advanced control system ensure that this incubator is suitable for most research and environmental laboratories. The unit has an easily viewable, bright color touch screen that displays alarms, current temperature, set temperature, CO2 level, CO2 setpoint, and the humidity level. The user can easily define control programs to automate the CO2 level, temperature, and control the internal power outlet. The user interface was carefully designed to be intuitive and easily readable. The display can show temperature, humidity, and CO2 graphs and this data can be downloaded to a USB drive or through an Ethernet connection. 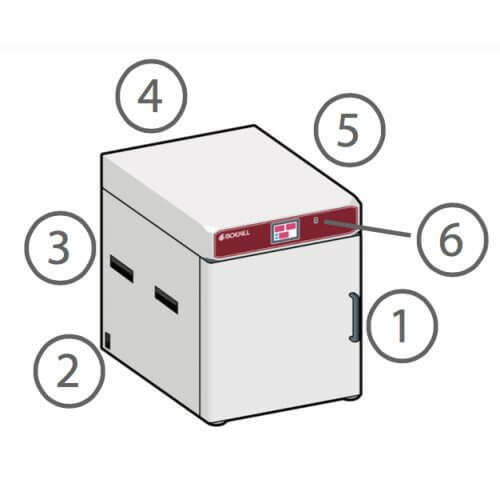 The incubator is ideal for standard cell culture work or flexible experiments. The unit can also add humidity to the chamber with the included humidity pan. Standard and Advanced control of temperature and internal outlet. Time based control of setpoints with repeat function.